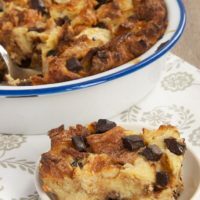 Chocolate Croissant Bread Pudding combines bakery croissants, chocolate, and few basic ingredients for an easy to make dessert that’s sure to please! There’s something about the ever-present snow piles of winter that makes me crave comfort foods. Our recent dinners have been featuring plenty of hearty soups and pastas. 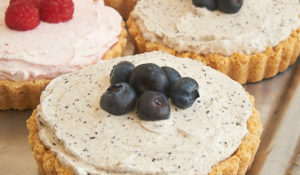 I find that the craving for comfort food carries over to desserts, too. And with that in mind, what is more fitting than warm, gooey bread pudding? 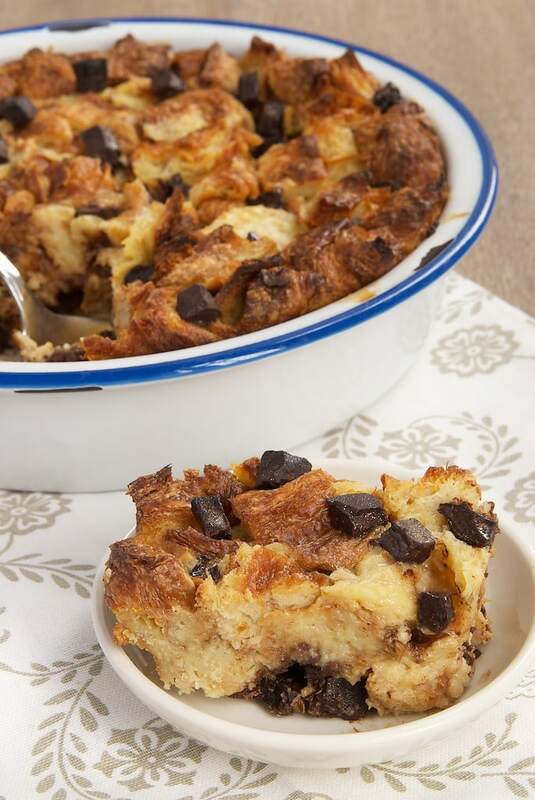 This Chocolate Croissant Bread Pudding is made with buttery, flaky croissants. They offer such lovely texture and flavor. Add to that plenty of chocolate and a good dose of cinnamon, and this is most decidedly comfort food in my book. Of course, the beauty of bread pudding is its simplicity. 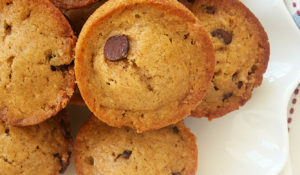 Just add some basic ingredients to pieces of bread, and you’ve got a wonderfully delicious dessert. 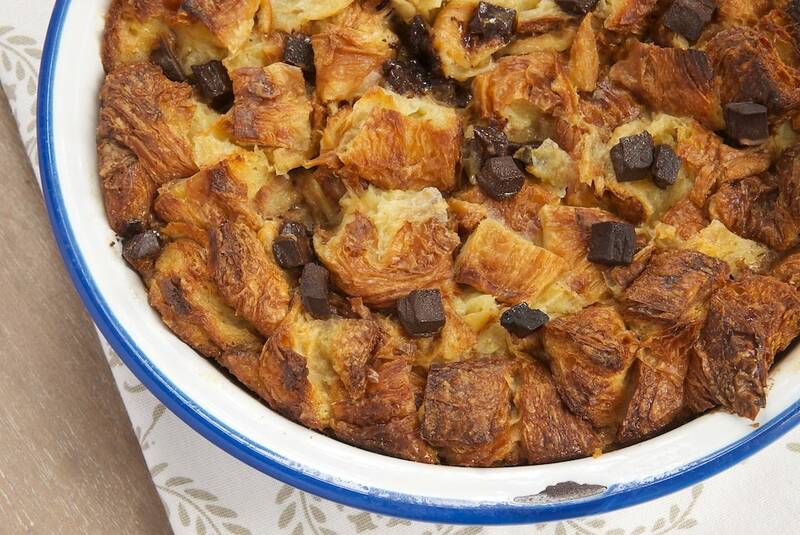 This Chocolate Croissant Bread Pudding is no exception. I am fortunate to live very near some really good bakeries. I procured some gorgeous croissants in the neighborhood, used some of my favorite chocolate, and plied the whole thing with cinnamon. 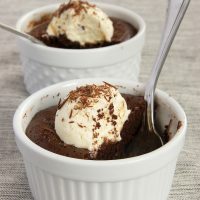 The result is this gorgeous and delicious dessert that’s just the thing when you want a good dose of comfort. 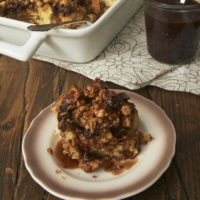 Just put on your favorite cozy pajamas, grab a plate full of bread pudding, curl up in your favorite chair, and dig in! What a wonderful treat for yourself! 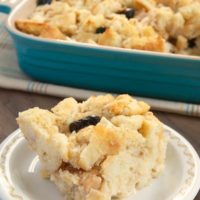 While I keep referring to this bread pudding as dessert, it would also be a wonderful choice for a sweet ending to a special breakfast or brunch. All that warm bread and melty chocolate… Yeah, you’re going to want to eat this most any time of day. 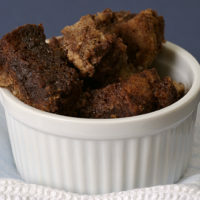 Find more bread pudding recipes in the Recipe Index. 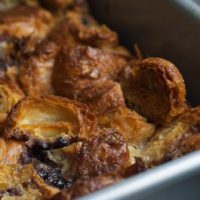 Bakery croissants, good quality chocolate, and a few basic ingredients are all you need to make this delectable Chocolate Croissant Bread Pudding. 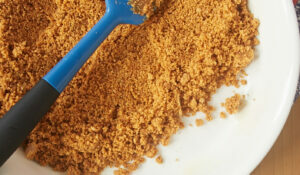 In a large bowl, whisk together the egg yolks, milk, cream, sugar, vanilla, cinnamon, and salt. Add the croissants and chocolate. Mix until combined. Transfer the mixture to the prepared dish, pressing the bread down into liquid if needed. Allow to sit at room temperature while you heat the oven. Bake 35 to 40 minutes, or until a knife inserted into the center comes out clean. *We are big fans of cinnamon around here and didn’t find this to have an overly bold cinnamon flavor. If you like a little more cinnamon subtlety, feel free to decrease this amount. 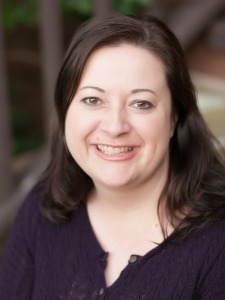 **You can substitute any shallow 2-quart baking dish, such as an 8-inch square pan. Recipe slightly adapted from Real Simple and MyRecipes. I need this in my life right now! Yum. You did NOT do this! But, you did. And now I want to hug you. Stop it, stop it, stop it! (But don’t, actually). Croissant bread pudding = mind blown. 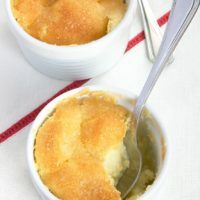 mmmmmm I am in love with the idea of croissants made into bread pudding! ESPECIALLY chocolate croissants! pinningggg! Oh that is so wonderfully decadent! Definitely going to insist on this being made for me for Mother’s Day. Wishing for a time machine right now! Croissant bread pudding is the very best. And with chocolate chunks? This is brilliant! I made this, but basically doubled the amount of chocolate chips, and used 1-1/4 cups of half-and-half and 1-3/4 cups of almond milk. Used a 9×9 square pan. Delicious!